'Don't look back. It wants you to look back. 'London's soul has gone missing. Lost? Kidnapped? Murdered? Nobody knows - but when Sharon Li unexpectedly discovers she's a shaman, she is immediately called upon to use her newfound powers of oneness with the City to rescue it from a slow but inevitable demise. The problem is, while everyone expects Sharon to have all the answers - from the Midnight Mayor to Sharon's magically-challenged self-help group - she doesn't have a clue where to start. But with London's soul missing and the Gate open, there are creatures loose that won't wait for her to catch up before they go hunting. 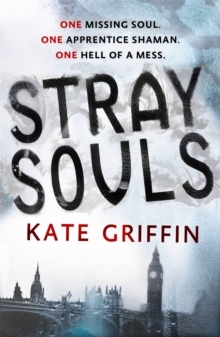 STRAY SOULS is the first novel in the Magicals Anonymous series, set in the same fantastical London as the Matthew Swift novels.